In June 2016 we started an exciting project to digitise items from our museum collection. 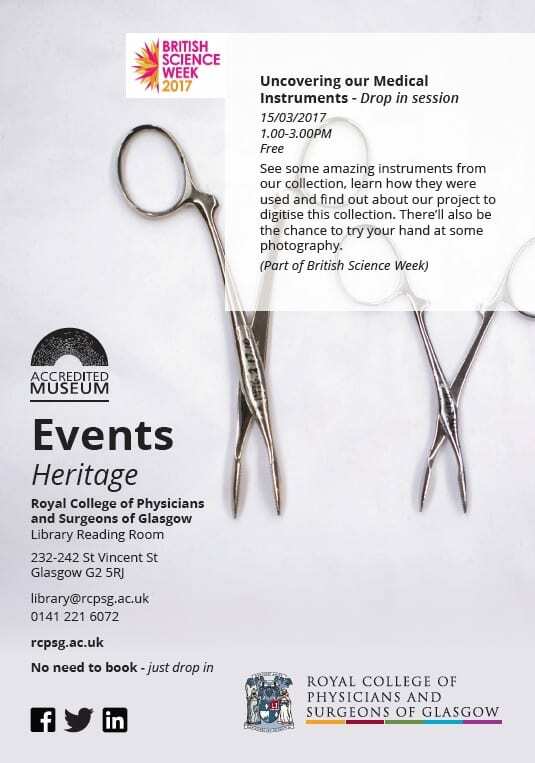 The project, which has been kindly funded by Museums Galleries Scotland, is sadly nearly at an end, so to celebrate all the amazing work that has been done we’re hosting a special drop-in session as part of British Science Week. The drop-in session will give visitors the opportunity to view some items from our collection, learn about how they were used, take a look at the processes involved in their digitisation, and maybe take a few photos too! 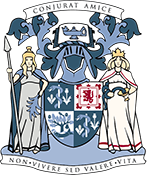 The drop-in session takes place on Wednesday, 15th March 2017 from 1pm – 3pm. No need to book – just pop in to the College! 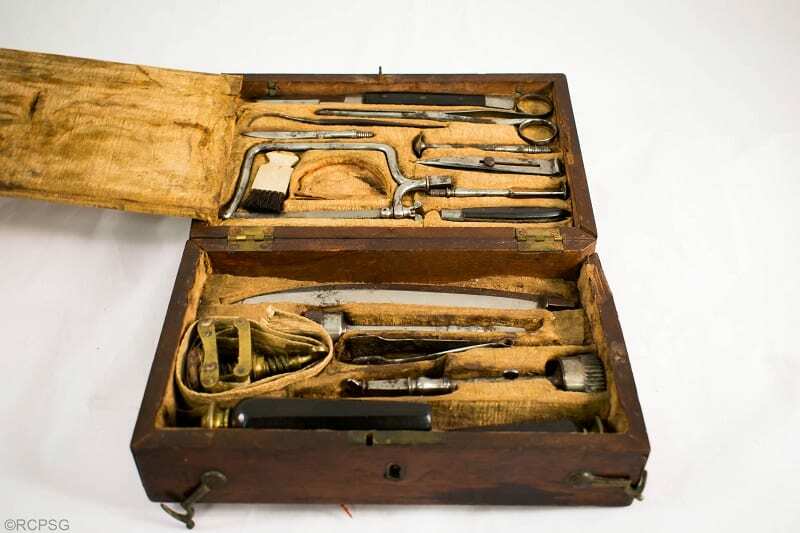 So far, our digitisation intern has photograph over 300 items including our collection of 18th/19th century stethoscopes, apothecary cabinets, the surgical instruments of William Beatty (surgeon on board HMS Victory at the battle of Trafalgar), early 19th century x-ray tubes, Victorian quackery gadgets, and many other fascinating surgical instruments. 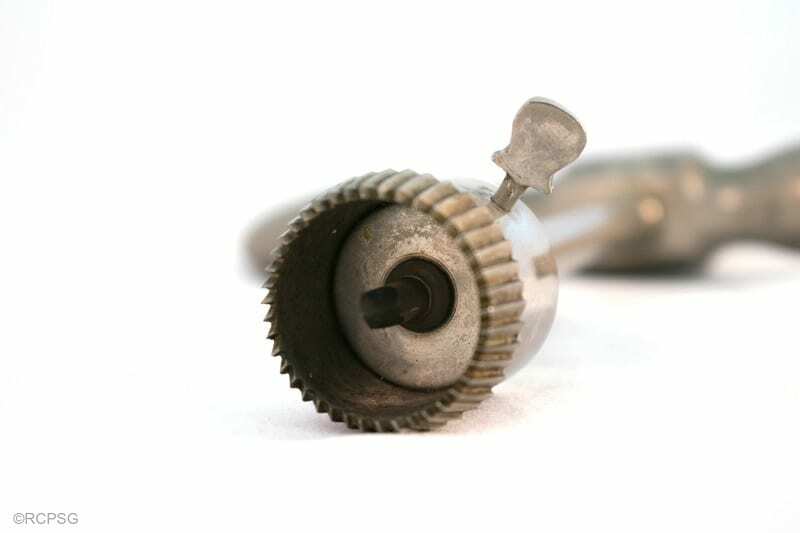 The collection dates back to the mid 1700s – the earliest item we have is a trephine set – and covers all areas of medicine, surgery and dentistry. You can read a little bit more about some of the items we’ve digitised and get updates on the project on our blog.